Customers usually don’t like to be flooded with emails. However, there seems to be an exception to this rule: sending abandoned-cart emails is an efficient way of encouraging consumers to complete a transaction, according to Experian’s latest benchmark report. Abandoned-basket emails are crucial in encouraging consumers to complete a transaction. According to Experian Cross-Channel Marketing’s Q3 2016 Email Benchmark Report, customers who receive more than one abandoned-cart email are 2.4 times more likely to complete a purchase than those who got just one such message. 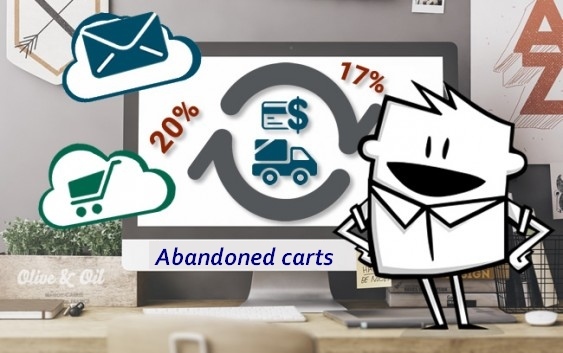 Additionally, the study found that consumers who received multiple abandoned-cart emails had a multiple transaction rate 44% higher than those who didn’t. Email volume was up by 19.8% in Q3 2016 compared to Q3 2015. Though send volume increased, transaction rates, revenue per email, and average order values were similar to the rates seem in Q3 2015. The year-over-year total click rates have decreased for the past 4 quarters, with a negative correlation between the increase in clicks on mobile phones and the decline in total click rates. Quarter-to-quarter volume had a modest 3.9% increase for Q3 compared to Q2 2016. Most metrics were similar to those seen in Q2, but revenue per email and average order values were somewhat lower.